Transfiguration is a class that teaches the art of changing the form and appearance of an object. You will be trying easier things first, you will start with turning a match into a needle. Professor McGonagall is the Head Master of Gryffindor House. Stay on her good side and she can help you through class. However, avoid making her angry and causing her lips to thin. Otherwise, she'll seem like a different person entirely. 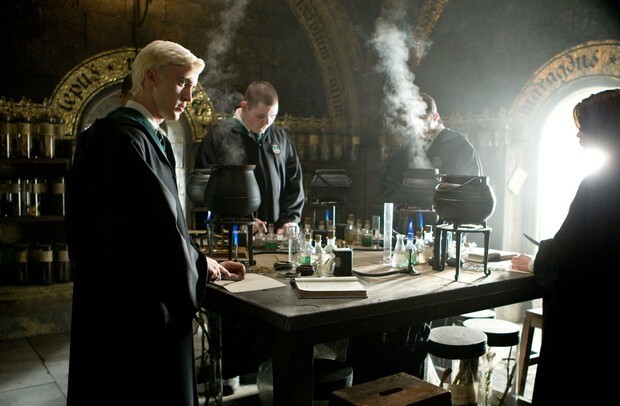 In this class, students will learn the correct way to brew potions. You will follow recipes and use various magical ingredients to make potions. Students will advance by starting with simple mixtures and then mixing more difficult ones as they progress in knowledge. Professor Snape is the Head Master of Slytherin. You can learn from Snape, but he can be cold, bitter and sarcastic. He can keep a class quiet without any effort. It's important to note that Snape dislikes Gryffindor students because he thinks that they are arrogant and attention seeking.
" I'm a first year student and I got sorted into Gryffindor. I grew up as a muggle girl until I learned that I was a witch. I really like Hogwarts, I had some knowledge about magic and I did really good in Hogwarts. My favorite class would have been Charms." " I'm a first year student and I got sorted into Gryffindor. I'm pretty good at animated chess. 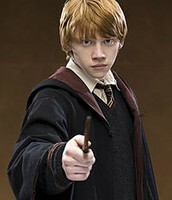 I really admire Harry Potter. I'm from a loving but poor family. I would always get hand-me-downs. I love Hogwarts because it was a new experience coming from a muggle family. 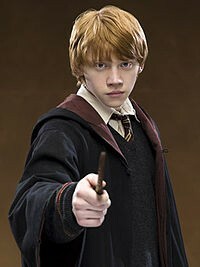 My least favorite class would had to be Defense against the Dark Arts." Through out the school year, students will come to The Great Hall. 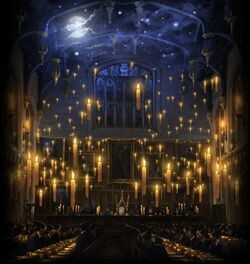 The Great Hall is where everyone gathers to eat their meals, get their daily owls and have special events. 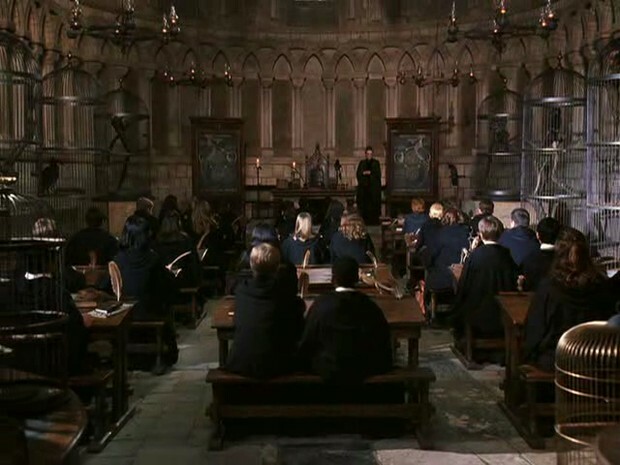 In the front of the hall, is the staff table, also called The High Table, which is for the entire Hogwarts staff to sit. The hall is full of thousands and thousands of candles lighting the room. There is a throne-like chair in the center of each table where the Headmaster and Headmistress sit. The Forbidden Forest borders the Hogwarts School grounds. The forest is a really old place to holds many secrets and animals that are dark, dangerous but others are friendly. The trees are considered ancient and rough looking. Students are strictly off limits to go into the forest, otherwise there will be consequences if happens- except in the case of detention or Care of Magical Creatures lessons that take place in there. So don't try to be sneaky and try to go in there because you will get caught sometime!